Starhill Global Real Estate Invmt Trust (Starhill), formerly known as Macquarie Prime REIT, invests in commercial properties that are predominantly used for retail and office purposes. 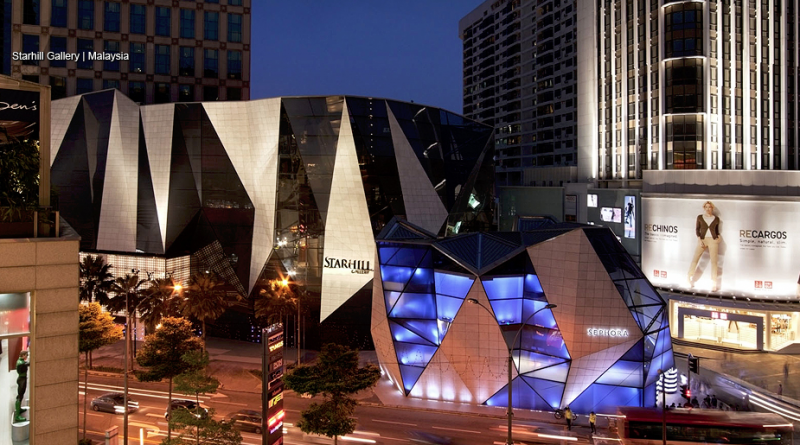 Starhill was listed on the SGX on 20 September 2005 with an initial portfolio of two properties worth S$ 1.33 billion. Ever since, it has enlarged its portfolio to 11 properties valued at S$ 3.14 billion as at 30 June 2017. In this article, I’ll list down 10 quick facts that you need to know about Starhill before you invest. Starhill owns 257 strata lots representing 74.23% of the total share value of strata lots in Wisma Atria. This includes retail spaces that excludes spaces owned by Isetan. Wisma Atria is a prime shopping mall that is located strategically at Orchard Road, Singapore. It was valued at S$ 997.0 million as at 30 June 2017. In 2017, Wisma Atria has contributed S$ 68.7 million in revenue to Starhill. Starhill owns 4 strata lots representing 27.23% of the total share value of strata lots in Ngee Ann City, a prime shopping mall that is located next to Wisma Atria. It was valued at S$ 1.2 billion as at 30 June 2017. In 2017, Ngee Ann City has contributed S$ 65.8 million in revenue to Starhill. Myer Centre is the largest shopping centre in Adelaide, Australia. It is a 8-storey retail centre where Myer Department Store is its anchor tenant. It was valued at S$ 317.1 million as at 30 June 2017. In 2017, it has contributed S$ 32.7 million in revenue to Starhill. David Jones Building is a 4-storey retail centre in Perth, Australia where David Jones Ltd, a premium department store is its anchor tenant. It was valued at S$ 169.1 million as at 30 June 2017. In 2017, it has brought S$ 12.5 million in revenue to Starhill. 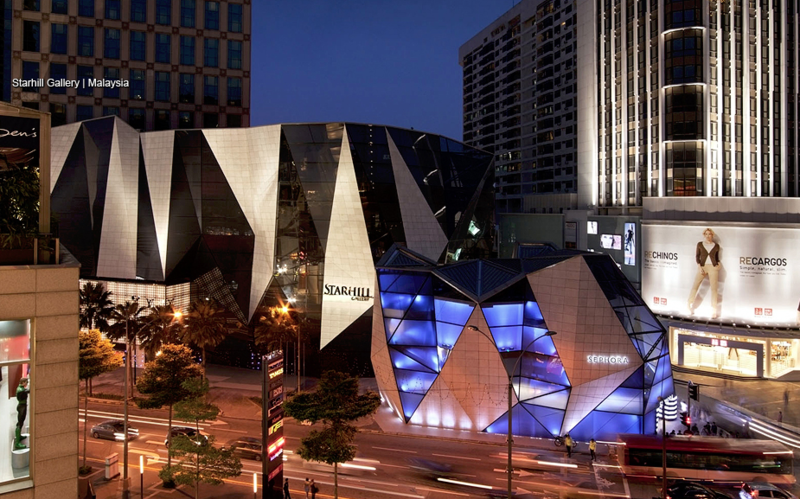 Starhill Gallery is a shopping centre comprising part of a 7-storey building and a 12-storey annex building located in Kuala Lumpur, Malaysia. It was valued at S$ 221.2 million as at 30 June 2017. In 2017, it has contributed S$ 17.0 million in revenue to Starhill. In total, the 5 main properties have contributed S$ 196.7 million in revenue, accounting for 90.9% of total revenue of Starhill in 2017. I have compiled the quarterly results of Starhill since financial year 2013. Out of which, I have discovered that Starhill has maintained its revenue at S$ 45 – 55 million, net property income at S$ 35 – 45 million, and distributable income at S$ 25 – 30 million per quarter. Distributions per unit (DPU) have remained stable at 1.15 – 1.35 cents per quarter since 2013. YTL Corporation Bhd is the sponsor of Starhill. It is one of Malaysia’s largest conglomerates with a diversified business interests, spanning across utilities, cement, telecommunications, hotels, property development and investments. As at 30 June 2017, YTL Corporation Bhd is worth RM 15.0 billion in market capitalization. As at 30 September 2017, Starhill has recorded a 93.4% occupancy rate for its portfolio. 48.7% of its leases would expire starting in financial year 2020 and beyond. Toshin is the master lessee of Starhill’s strata lots at Ngee Ann City. 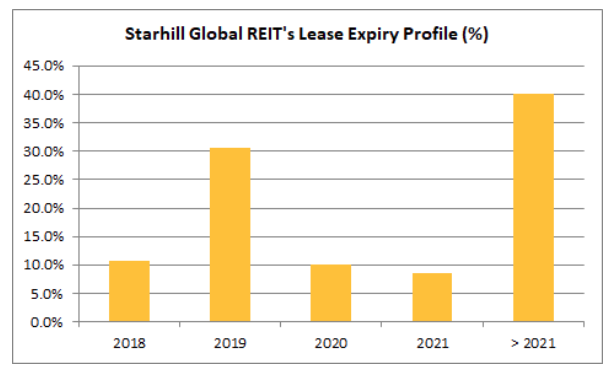 It accounts for 20.8% of total gross rent of Starhill in 2017. The lease at Ngee Ann City is until June 2025 with its rent to be reviewed once in every 3 years. Its next review is scheduled on June 2019. YTL Corporation Bhd, the sponsor of Starhill, is the master lessee of the Starhill Gallery and the Lot 10 Property. 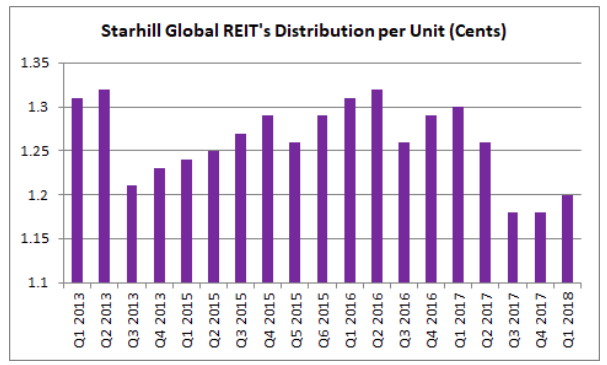 It accounts for 14.0% of total gross rent of Starhill in 2017. The next rent review is scheduled on June 2019. As mentioned above, Myer Pte Ltd and David Jones Ltd are the anchor tenant of the Myer Centre in Adelaide and the David Jones Building in Perth, Australia. They account for 6.8% and 4.5% of total gross rent of Starhill in 2017. Their leases would expire in 2032. As I write, Starhill is trading at S$ 0.76 a unit. As at 30 September 2017, Starhill has reported to have S$ 0.92 in net asset value a unit. Thus, its current P/NAV works out to be 0.83. 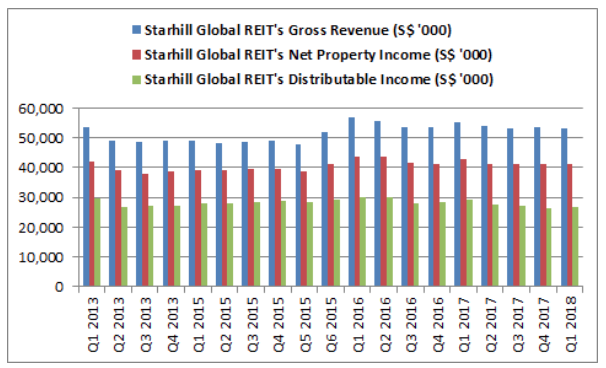 Starhill adopts a distribution policy to declare and pay out at least 90% of its distributable income on a quarterly basis. In Q1 2018, Starhill has paid out 1.20 cents in DPU. If Starhill is able to maintain its DPU at 1.20 cents for the next 4 quarters, it would pay out 4.80 cents in DPU. 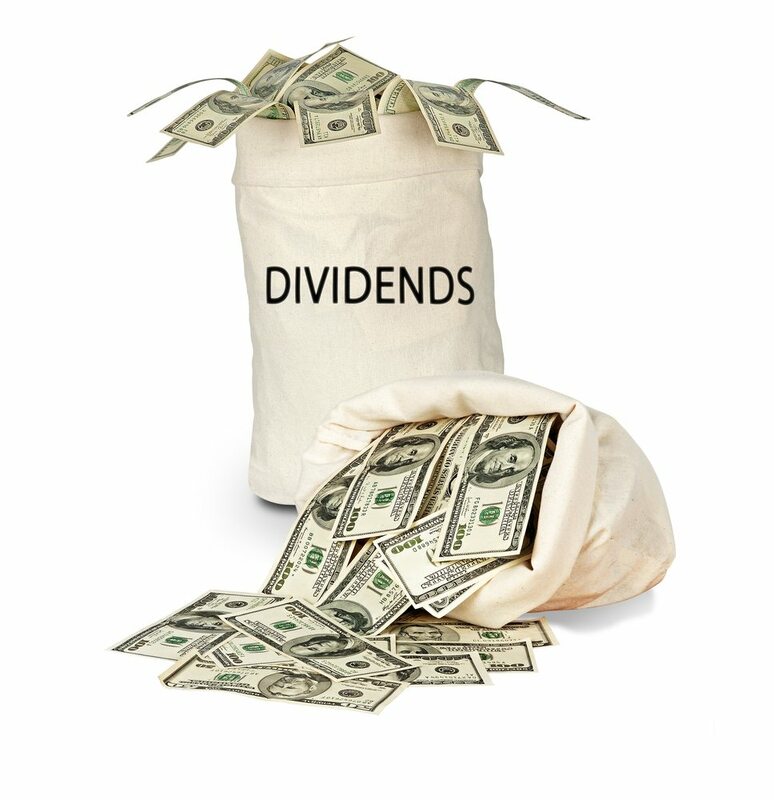 As such, its gross dividend yield is expected to be 6.32%. In September 2017, Starhill has secured S$ 200 million of 4-year unsecured term loan and S$ 260 million of 5-year unsecured term loan to refinance its outstanding S$ 450 million term loans ahead of their maturities in 2018. Overall, as at 30 September 2017, Starhill has total debt of S$ 1.14 billion. 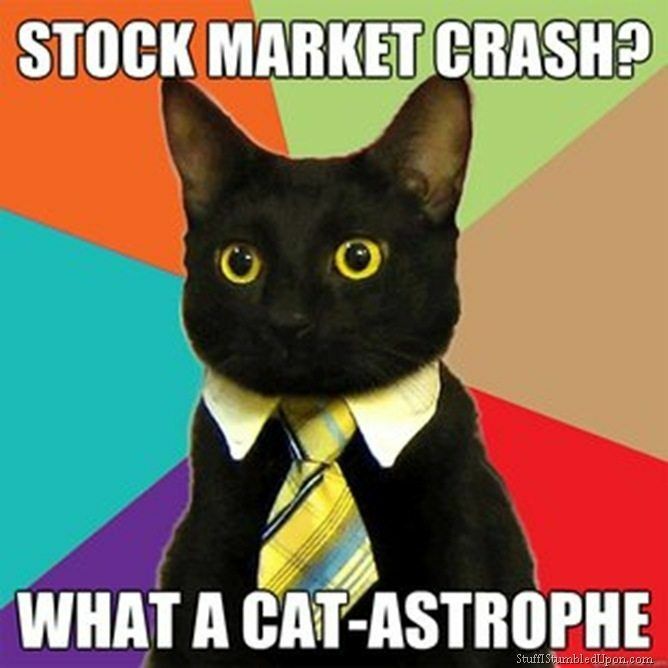 It works out to be a gearing ratio of 35.4%. Tan Sri Dato’ Dr. Francis Yeoh Sock Ping is appointed as the Chairman of Starhill Global REIT. His brother, Dato’ Yeoh Seok Kian is appointed as its non-executive director. They are major shareholders of Starhill Global REIT via their interests in Yeoh Tiong Lay & Sons Holdings Sdn Bhd. 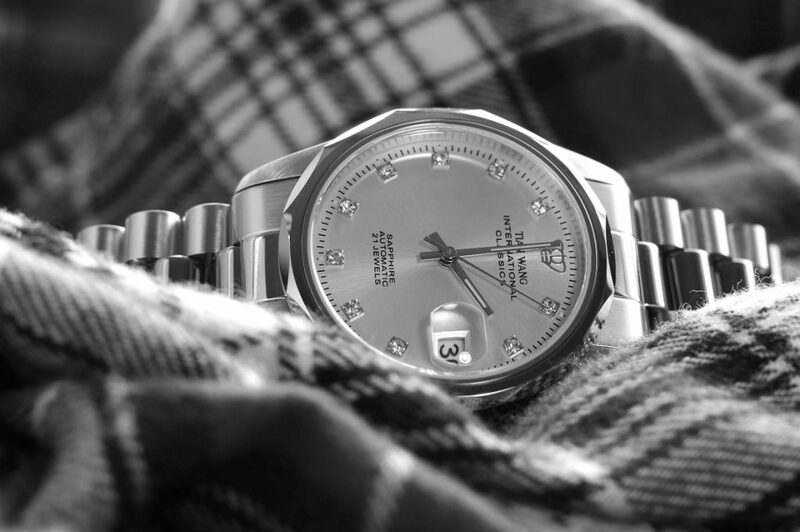 Is Time Watch Investments Ltd (HKG:2033) Set For Huge Growth Ahead? When PricesTank, Where Does All The Money Go?